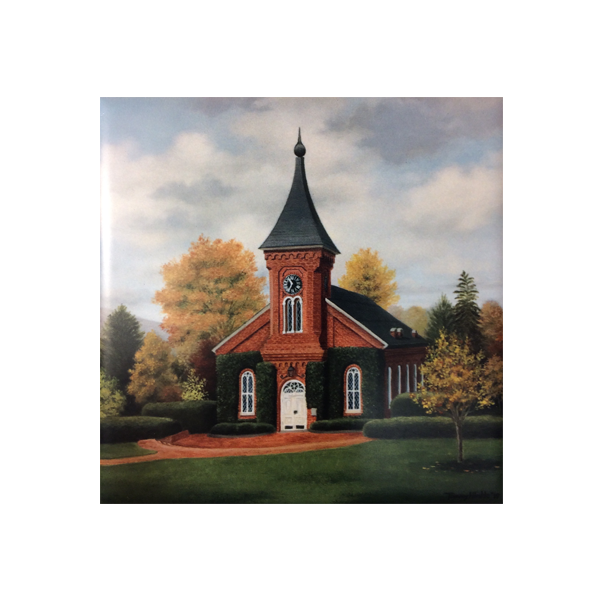 6X6 Tile Print from Artist Tammy Hinkle. From Parents Weekend, this is the result of the “LIVE Painting Event” with Artist, Tammy Hinkle, a Washington and Lee mother. Some in attendance had the opportunity to capture the beginning stages of this original being executed in Elrod Commons. Tammy’s attention to detail is apparent as she aspires to create memories in paint...nostalgic memories or future memories for some. 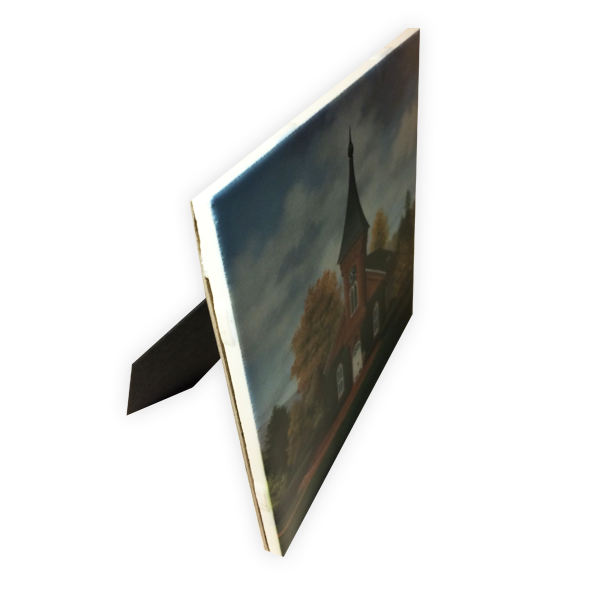 How do your memories connect with Lee Chapel?